During the last 27 years, Edward Susolik has come to be known and respected as one of the top litigation attorneys in Southern California. Mr. Susolik is known for his powerful and aggressive interdisciplinary litigation practice, combining expert trial and courtroom advocacy skills with bold and decisive litigation strategies. The foundation of Mr. Susolik's success is his diverse litigation practice. Unlike most lawyers who specialize in narrow areas of practice, Mr. Susolik specializes in the one thing that matters most to clients: winning. To that end, Mr. Susolik has extensive expertise in multiple areas of complex litigation, including complex business litigation, insurance bad faith and coverage and catastrophic personal injury. Moreover, Mr. Susolik's practice is divided evenly between plaintiff and defense perspectives: he was trained as a defense lawyer at an international law firm, but is equally adept at prosecuting eight-figure plaintiff cases. Mr. Susolik's many awards and accolades speak to his reputation in the legal community. For example, Mr. Susolik has been recognized by his peers as one of the "Top 100 Attorneys in Southern California" for 2010, 2011, 2012, 2013, 2014, 2015, 2016 and 2018 -- one of only a handful of Orange County attorneys given that distinguished honor by Super Lawyer Magazine. On the personal side, Mr. Susolik was born in Trnava, Czechoslovakia and has also lived in Switzerland and Spain. He graduated from the University of Southern California in 1986 with degrees in Philosophy, English and History. He received his law degree from the University of Southern California Law School in 1990, where he graduated second in his class and was an editor of the law review. Mr. Susolik was also a professional golfer for several years, and continues to play competitive amateur golf throughout the United States. Mr. Susolik has six children and has lived in Orange County since 1990. Below is a short summary of the various areas of Mr. Susolik's practice. Mr. Susolik is known and respected as one of the top insurance lawyers in the Western United States. He has developed a reputation among insurance companies and defense counsel as a leading expert, combining insurance law expertise and knowledge with the powerful skills of a master litigator and trial lawyer. Mr. Susolik has been chair of the Insurance Department at Callahan & Blaine for the last 24 years. During that time, he has successfully resolved over 1000 insurance disputes. Among his many accomplishments in the insurance area, Mr. Susolik has been an adjunct professor at USC Law School on numerous occasions, where he teaches Insurance Law. Mr. Susolik has also been a contributing editor to the leading insurance book in California, the Rutter Guide treatise on Insurance Litigation, since 2001, where he edits the chapters on bad faith, duty to defend and insurance litigation. 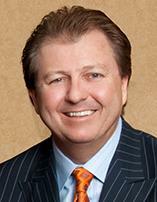 Mr. Susolik was also chair of the Orange County Bar Association Insurance Law Section for over 12 years. Mr. Susolik is a frequent speaker on insurance and litigation issues to lawyers, business groups and others, giving approximately 30 speeches and seminars on insurance law and litigation every year, including a presentation to the California State Bar Convention entitled "Insurance Law for Litigators" that he has given on many occasions. Mr. Susolik has been retained on many occasions as an expert witness on insurance law issues by both insurance companies and policyholders. He is also frequently retained by attorneys to provide expert insurance advice and consultation. Mr. Susolik is the author of many articles on litigation and insurance issues and is a frequent contributor to periodicals, treatises and other legal publications. Mr. Susolik has wide expertise in the full spectrum of insurance bad faith and coverage litigation. His core practice is maximizing insurance benefits for business and corporate policyholders, from Fortune 500 companies to small business entities. He has represented hundreds of corporations, partnerships, associations and other business organizations in complex insurance disputes in his career. For example, Mr. Susolik has represented over 100 homeowners associations in both insurance and litigation contexts. In addition to his corporate insurance practice, Mr. Susolik also represents a broad spectrum of professionals and individuals in complex insurance disputes, including doctors, lawyers, accountants and directors. Mr. Susolik also has broad experience in the representation of insurance industry professionals, including agents, brokers and insurance companies in disputes within the insurance industry, including litigation between excess and primary insurers and litigation against the Department of Insurance. In addition, Mr. Susolik's is a nationally recognized expert in both first party and third party insurance disputes. In the third party context, Mr. Susolik has successfully handled hundreds of complex liability insurance disputes, including advertising injury claims, Cumis counsel, duty to defend and recovery of attorneys' fees, wrongful failure to settle, reimbursement, rescission, and many other third party insurance controversies. In the first party context, Mr. Susolik has successfully resolved broad variety of first party insurance disputes, including major property claims, landslides, fire claims, water damage, toxic mold, pollution, life insurance, disability insurance, health insurance and many other first party issues. For example, Mr. Susolik has successfully resolved numerous complex landslide disputes on behalf of homeowners associations, including settlements of $8.5 Million and $6.0 Million. Mr. Susolik has extensive expertise in a broad spectrum of commercial and business litigation, including trade secret litigation, professional liability, intellectual property, employment law, real estate, class action, securities law, shareholder derivative litigation, corporate disputes, directors and officers liability, governmental liability, construction law and many other areas of commercial disputes. The majority of Mr. Susolik's business litigation matters are on the defense, and he has successfully obtained many significant judgments, dismissals, de minimis settlements and even affirmative recoveries for defendants. Mr. Susolik has extensive experience in complex personal injury litigation, both on the plaintiff and defense sides. Mr. Susolik has handled catastrophic accidents involving automobiles, trucks, motorcycles, bicycles, airplanes, buses, boats, industrial accidents, products liability and many other complex scenarios. Mr. Susolik has obtained many seven and eight figure personal injury settlements. For example, Mr. Susolik was part of a litigation team involving a truck accident which resulted in a $28 Million settlement for the firm's client. In addition, Mr. Susolik is frequently called upon to handle the defense of complex personal injury cases for defendants, especially when plaintiffs' damages exceed available insurance proceeds and clients have personal financial exposure. Mr. Susolik has successfully used his defense and insurance expertise to resolve cases within insurance policy limits on many occasions. In addition to his extensive expertise in the trial and litigation of complex lawsuits, Mr. Susolik is generally recognized as a leading expert in the mediation and settlement of complex litigation. Mr. Susolik is able to use his extensive insurance expertise and complex litigation experience to maximize the availability of insurance proceeds at mediation and settle cases successfully. He frequently engages what is essentially a tripartite mediation: the complex business litigation dispute is mediated simultaneously with the insurance coverage issues. Mr. Susolik has successfully settled and resolved over 750 complex litigation matters in mediation. In a typical year, Mr. Susolik will conduct approximately 40 mediations and other settlement conferences on behalf of his clients. For example, Mr. Susolik was recently part of a team that settled a bicycle accident case for $17 Million. The settlement process involved 6 insurers and a public entity defendant, and comprised 6 days of complex mediation. The interdisciplinary nature of Mr. Susolik's practice is never more self evident than in the area of Cumis counsel. Given the moniker of the "King of Cumis," Mr. Susolik has acted as Cumis counsel in over 200 cases in the last 20 years alone. In addition to aggressively handling the defense in a broad spectrum of complex litigation scenarios, Mr. Susolik has extensive expertise in the area of Cumis law, having written numerous articles in the area of Cumis and spoken extensively to lawyer and industry groups on the subject of independent counsel. Mr. Susolik is generally recognized as one of the top Cumis experts in the Western United States. Combining his sophisticated litigation skills as defense counsel with his insurance law expertise, Mr. Susolik is the paradigm Cumis counsel. Mr. Susolik is able to provide an aggressive and comprehensive defense of the third party claims while at the same time maximizing the insurance benefits available to the client. Equally importantly, Mr. Susolik understands how important it is to communicate, cooperate and work with the insurance company in the defense of the claim, even though the Cumis doctrine is ostensibly predicated on the concept of conflict of interest.